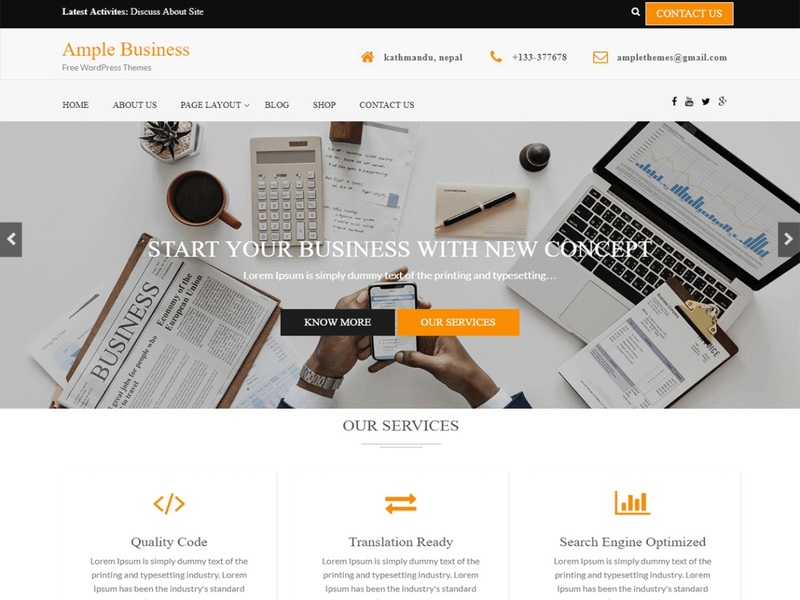 Ample Business is a stunning, professional and flexible Business Consulting and Investments WordPress Theme based on Strong researches into the field of Business, Consulting, and Investments. It is an impressive free business WordPress theme for professional Consulting and Finance industry, Financial Advisors, Insurance Brokers, Accountants, Lawyers, Finance Firms, Consultants, Investments Consulting Services, Advisors, Investment Experts, Trading and Investments, Technology Consulting, blog, shop and Business Development Agencies, or other Finance and Consulting related businesses. the layout of the theme has been well-organized and designed with supreme quality. With the unique set of widgets available in the theme, users can play with them and design it beautifully. Different kind of sections available such as Team Widget, Course Section, Testimonial Section where you can explore the information about your services in a professional manner.